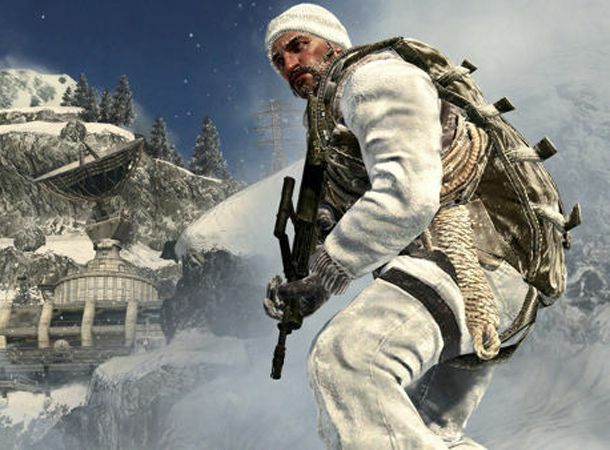 Asda is set to offer Call of Duty: Black Ops for the low price of £4.97, days after HMV announced that they would sell the latest instalment of the cinematic shooter for just £7.99. Set to retail at £54.99, CoD fans eager to get a discounted copy will have to be willing to trade in one of the following games: Star Wars: The Force Unleashed II, Fallout New Vegas, or Fable III. If you don't own any of those games or don't fancy trading the relatively new titles you've probably spent a small amount of playing time with, you can trade in other games to get a cheaper copy, or buy the game outright at a reasonable £36.97. Already breaking pre-order records, Black Ops is expected to surpass the success of Call of Duty: Modern Warfare 2 which became the UK's best-selling game of all time when it launched last year. Set to place gamers in a plethora of real world conflicts between World War II and the present day, gameplay will feature in various periods of the Cold War leading you through war torn terrain in Cuba, the Arctic and Vietnam. The trade-in deal lasts for just six days from Tuesday via Asda trade-in game stores which can be located here. A selection of Asda stores will be open from midnight on Tuesday, for those eager to get their hands on the game which is available for Xbox 360, PS3, PC, Wii and the Nintendo DS. If you''ve somehow managed to avoid the Call of Duty: Black Ops trailer, you can see the HD version below to get you in the mood ahead of the November 9th launch.